The beautiful, stunning scenery of Collina d’Oro, the polyphony of different languages spoken on campus, and encounters with friends from around the world. If memory serves, in the second half of the 1980s there were about 220 students at TASIS and they came from about 30 different countries. These fact would have to be verified. I attended TASIS from 1984 to 1988 (8th grade through 12th). The hillock in front of De Nobili and the view from Belvedere towards the campus below. Many memories from trips to Venice, Milan, and other cities and of course beloved memories from the amazing January TASIS ski sojourn in St. Moritz. Horst Dürrschmidt and Jay Long. 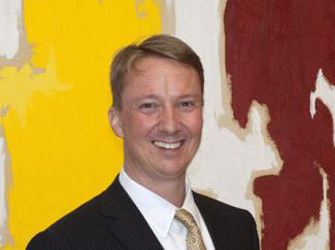 I’m director of the Albright-Knox Art Gallery in Buffalo, NY, the sixth-oldest museum in the United States and home to a world-renowned collection of modern and contemporary art. I worked as a museum director both in Europe and the US since 2004. Prior to that, I was an assistant professor of art history and museology and taught both undergraduate and graduate courses for four years. In 1999 I did my military service in the Finnish Army’s Parachute Jaeger School, Long-range reconnaissance platoon. My wife and I have three amazing children. TASIS is the foundation for everything I have done and aspire to do. I thank my parents for giving me the opportunity to study at TASIS.